Taz and Zahra are finally back together in person in this episode - and it is live from the de Young Museum in San Francisco. 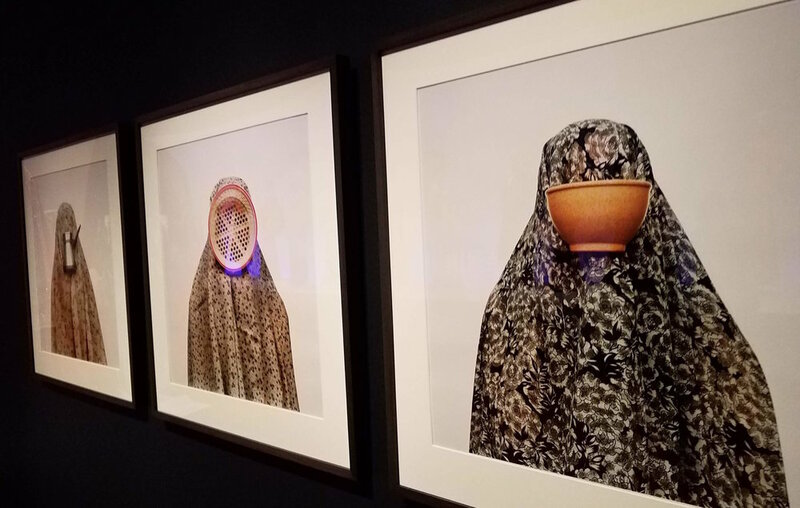 We were a part of supporting the current exhibit - Contemporary Muslim Fashion. It was gorgeous and we were so proud to have been able to been included in such a celebration. Taz and Zahra speaking at de Young Museum. Taz wore a skirt from Ibtihaj Muhammad’s modest Muslim clothing line, Louella. And it’s lovely. This Halloween, be sure not to costume your dress politically in-correct. You too can “feel like I just took a vacation on Planet Handsome Charming Modern Muslim, which is located in the Everything Is Going To Be Okay Galaxy” with this vid of Hasan and Tan being fashionable. #HijabiHeroes at New York Comic Con is something you have to see. You must check out the series and the book by Samin Nosrat - Salt Fat Acid Heat. Maytha Alhassan released a fantastic report on the relationship between Hollywood and the exotification/terrorization of Muslims in the media. It’s true - Sinead O’Conner converted to Islam and is now doing azaan. Posted on October 27, 2018 by Tanzila Ahmed and filed under Links and tagged Live Show de Young Museum Contemporary Muslim Fashion Fashion Clothing Hijabs Clothes.